In the past week, Intel has launched a new halo CPU - its highest-performing multi-core CPU for multi-socket mission-critical servers, the Xeon E7-8894 v4. The new processor is based on the Broadwell-EX die and has approximately a 200 MHz higher base frequency than its direct predecessor, released in Q2 2016. Intel said that the new CPU has set a number of records in various benchmarks. 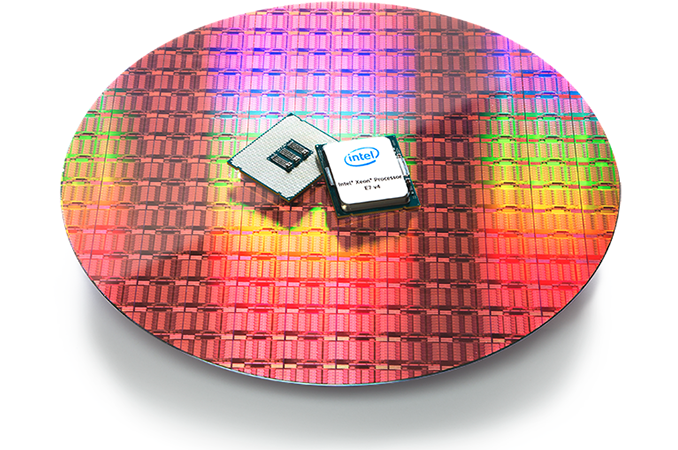 Intel’s customers interested in the chip will also have to pay a record price too. The flagship Intel Xeon E7-8894 v4 processor features the Broadwell-EX XCC (extreme core-count) die and has 24 cores with Hyper-Threading technology, 60 MB of L3 cache, 165 W TDP, a default frequency of 2.4 GHz and a turbo frequency of up to 3.4 GHz. Like other Broadwell-EX XCC CPUs, the new chip has quad-channel DDR3/DDR4 memory controller support and can manage up to ~3 TB of DRAM per socket (when used in conjunction with four Jordan Creek 2 scalable memory buffers). The CPUs are also equipped with 32 PCIe 3.0 lanes and three 9.6 GT/s QPI links for multi-socket environments. Intel’s multi-core Xeon E7 processors are designed for various heavy-duty servers with four, eight or more sockets (to support more than eight sockets special third-party node controllers are required). Such mission-critical machines typically to be available 24/7/365 and this is why the Xeon E7 v4 and the Broadwell-EX range has a host of various RAS (reliability, availability, serviceability) features. The Xeon E7-8894 v4 CPU has exactly the same set of capabilities as its direct predecessor, the Xeon E7-8890 v4 released last year. 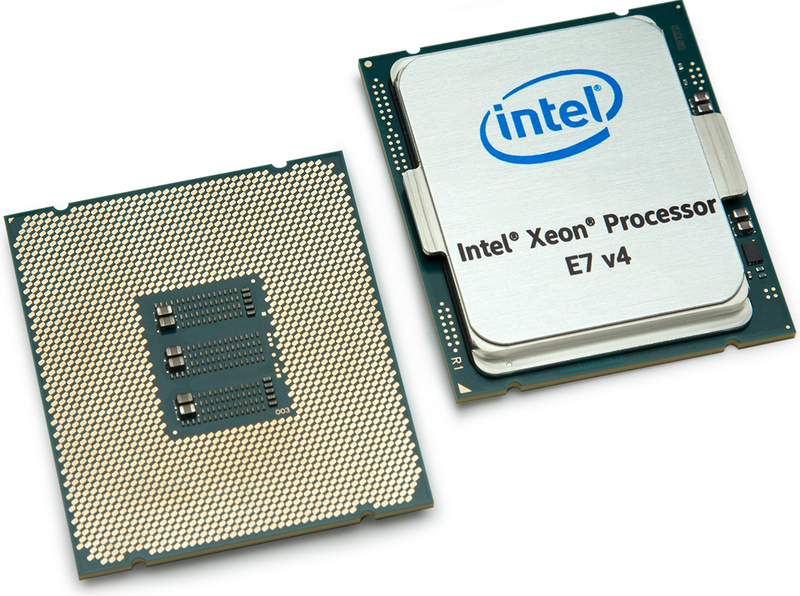 Intel claims that due to increased default frequency (and obviously because of the core count in general), the Xeon E7-8894 v4 sets a number of performance records in various general, server, HPC, big data analytics, business processing, database and other benchmarks, such as SPECint_base2006, SPECompG_2012, and so on. The Intel Xeon E7-8894 v4 processor carries a tray price of $8898, which is the highest price of an Intel mass-produced CPU ever. Its predecessor on the top spot in the range, the 24-core Xeon E7-8890 v4 (which runs at 2.2 GHz) is priced at $7174 and still sits at its original tray price. As always, there are customers willing to pay such sums of money for server CPUs that deliver certain levels of performance. Moreover, there are workloads that benefit from a +200MHz (9%) performance increase so significantly (from a financial point of view to the owners of the machines) that it justifies paying extra 24% (or $1724) for a 200 MHz frequency increase (provided that this is the only advantage that this CPU has over the E7-8890 v4). We've asked Intel to disclose the official per-core turbo numbers for comparison to their other chips, as well as a full range of DRAM support depending on memory type and memory density. We will update this news piece as we get more information. After software licenses, power/HVAC costs, server space limitations, maintenance, rent, wages etc $8000 per chip is trivial to multibillion companies. Unless there are significant economies of scale at work I agree as far as running a data center goes. However you can also rent parts of a datacenter, get a cage, a rack or whatever. Unless you are actually consuming cloud services instead of just running virtual machines you may be surprised how expensive it can be. And with it comes a significant counter-party risk: Your cloud provider can decide to jack up the prices, cancel a cloud service you rely on, be bought by a competitor and change the whole infrastructure etc.., not to mention security and legal issues.